Kards by Katie Kreations: Check It Out! Hi all! I hope everyone's week is off to a great start :) There's a HUGE collab going on between Some Odd Girl and ARC Crafts this week that you've simply gotta check out. 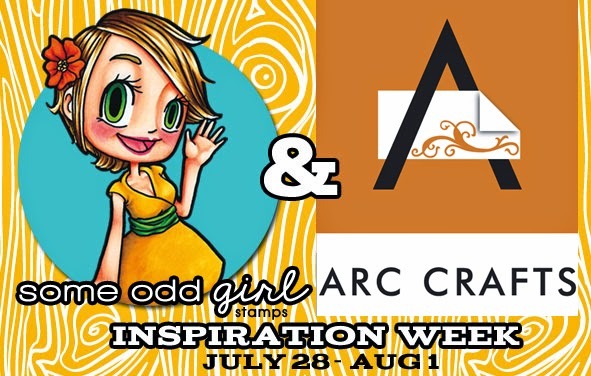 If you aren't familiar with ARC then, trust me, you want to be because they have some of the coolest wood tapes and adhesive wood papers that simply work perfectly with SOG digi and clear stamps. Need some convincing? Just head on over to the Some Odd Girl blog all this week to see some amazing inspiration- I've already had to pick my jaw up off the floor and this is only the first day, lol! Thanks for stopping in to visit!